A north view of old St Mark's church at Lincoln. This was the first church on or near this site. 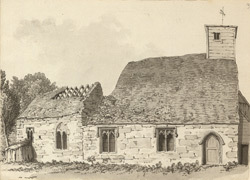 It was replaced as a functioning church by New St Mark's during the 17th century.